6 tips to follow when you’re cleaning your furnace – LAB Recipes! Whether you’ve just finished a long winter or are preparing to head into one, it’s never the wrong time to think about cleaning your furnace. After all, a clean furnace will last longer and heat your home more efficiently. You can always call in a professional to do the cleaning for you, but doing it on your own is cheaper and not terribly difficult. 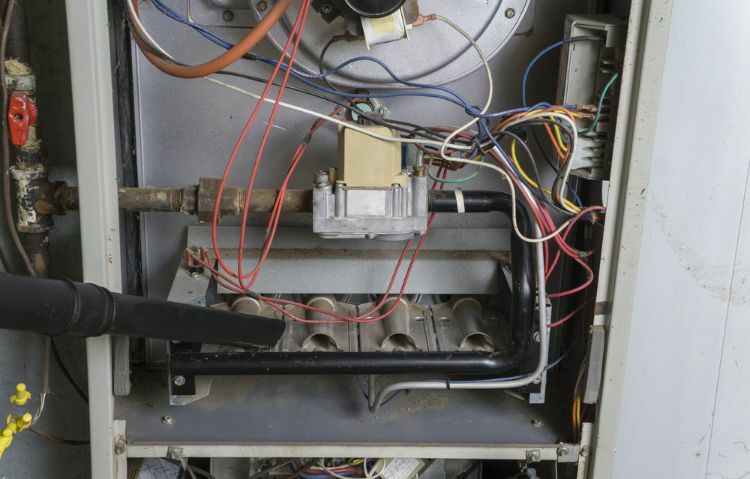 Just make sure you have the manual for your furnace on hand so you can find all of the various parts and then get started. Start by turning off the furnace and removing the filters. With a low-acidic wash, spray each side of the filter and then use a low-pressure hose to rinse off the wash. Lean the filters against something outside to let them drain and dry for at least 45 minutes. Turn off the power and the gas before you begin. Then use the hose on your vacuum to get rid of dust in the burners and blower cavities. If you can’t reach all the way into the burners, attach a 20-inch length of 1/2-inch drain line to your vacuum hose. To clean the ducts in your furnace, you need a HEPA filter on your vacuum to prevent huge amounts of dust from spreading through your house. 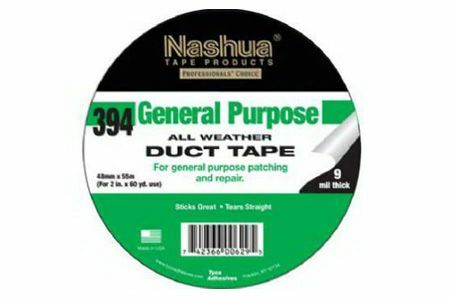 After you’ve finished vacuuming, check for any leaks in the ducts, which can be easily patched with duct tape. Before you can clean the blower assembly, you have to remove the front panel of the furnace and pull out the fan unit. 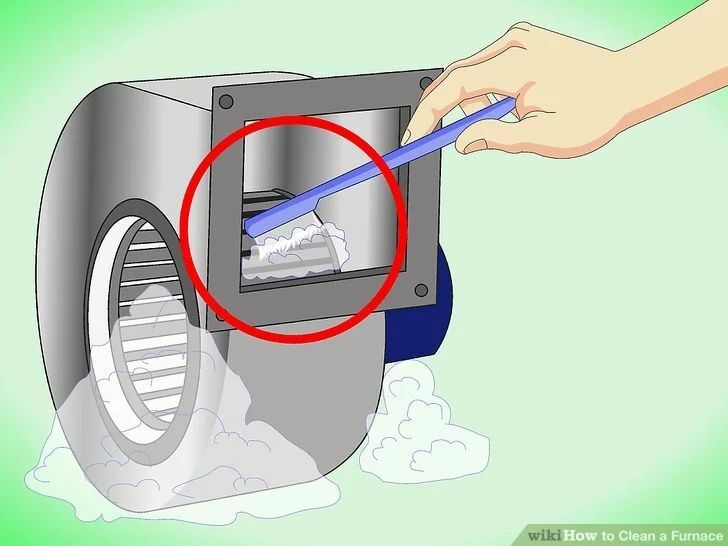 You can now use an old toothbrush to scrub the fan blades of the blower assembly with mild soap and water. 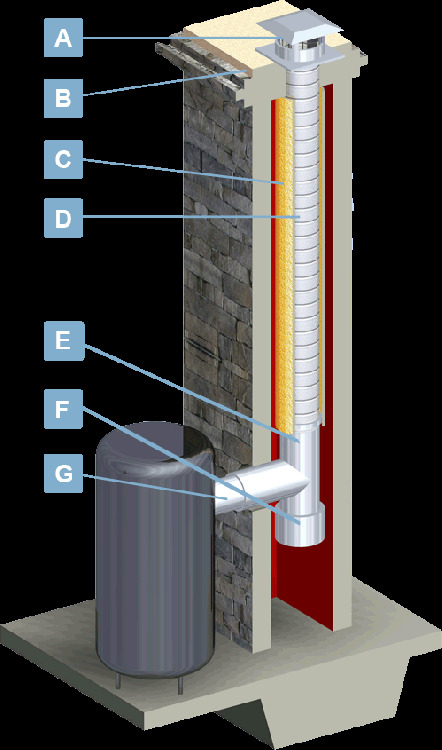 It is incredibly easy for the chimney of your furnace to get clogged with debris and soot. You can use a vacuum hose or a long-handled, thin broom to attempt to clear out the chimney, but if you haven’t cleaned it for a while, you might want to consider calling in a professional. 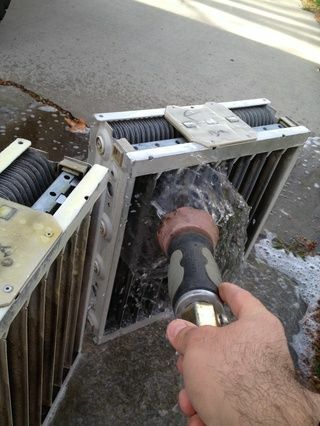 Before you start to clean around the heat exchangers, double check to make sure they’re cooled down. Check for any cracks and then use a stiff brush to clear away any buildup. Finish by vacuuming around the exchanger to remove any additional dust.